ManUP! Moment | Why Do STRANGERS Celebrate You More Than RELATIVES? In today's #manUPmoment I discuss a personal challenge I had to learn to deal with: getting more love OUTSIDE my house than I felt like I did INSIDE it. Bottom line? I kinda had to grow up (or to stay in sync with the brand, ManUP!) Though this is for men, trust me, ladies, you'll find this valuable as well! 1. It's easy to become so familiar with a person that you stop 'seeing' them. Don't fall between those cracks. Always keep yourself attractive. We always notice attractive. Sometimes those closest to you will do a double take because they see others do a double take. 2. Be intentional about not taking those closest to you for granted. Give them the same presentation you give the outside world: compelling and engaging conversation as well as kindness and pleasantries (even when you don't want to). Find creative ways to make them know that despite who needs outside your home, they are the most essential pieces in your world. 3. Finally, make it a habit of giving more than you take. Your life is a gift, and every day you wake up, know that you are a gift going somewhere to be delivered. Start with home. Never let your spouse or family feel that others get the best of you and they get the leftovers. Make them a priority by challenging yourself NEVER to be more of a burden than a blessing! MANUP! MOMENT | BOYS PLAY WITH TOYS. Actions speak louder than words. Despite what we say, we will be labeled by our actions, not our words. How many of us have adult words, but adolescent actions? Social media is a powerful tool that can help you communicate well. Unfortunately, it can also be used as an unhealthy source of validation. When it does, you take more risks with the content you choose to share in order to secure that validation. This speaks VOLUMES about the SHARER! Whether you know it or not, you always find one or the other. One makes you successful. The other makes you (look) sorry. ManUP! Moment | Go Where You Are Needed. A lot of your employers have no hesitation in telling you that your position can be filled by 'anyone' & that the line to take your spot is a mile long. Don't make them wrong. Empower yourself to be in a position where you can go where you are NEEDED, VALUED, and APPRECIATED for YOU! Tell me what you routinely see, and it tells more about you than you may have intended to reveal. Your attitude is prime real estate. You should be the only one that can AT WILL control it! If you aren't willing to pull up and adjust your tone or attitude with a person, it says more than you may realize! Your GRIND Tells The Truth! 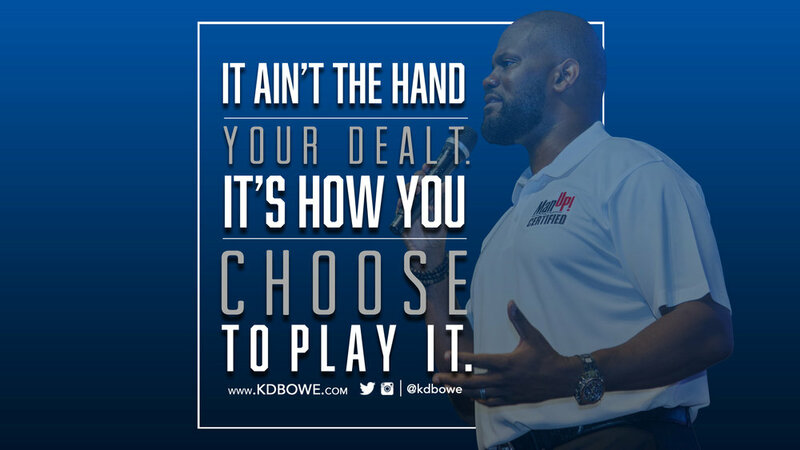 Is your grind the REASON or the BLAME for where you are in life right now? Do you routinely find a way to make it happen or an excuse as to why you didn't? Let your grind prove what your words say: That you want 'it' as bad as you say you do!